ARIES: There could be some turning points when it comes to finance and money. The fact that some people need special treatment will not be something that is easily resolved. The medical business and/or the cleaning business will come to your attention. Planning will be necessary particularly where situations seem dire or deteriorating. Being good to others will be to your advantage, even if your smile is just for show. You could also be more aware of work that requires speed and risk taking. TAURUS: Be wary of unexpected expenses. When it comes to business matters there could be those who are “pretending.” It also seems you will hear or even have your own complaining when it comes to big business or the bureaucracy. There will be a good bit of victory when it comes to solving problems or fixing things. The fact that people don’t speak out can be an issue. Much blame will be placed on either what is said or what is not said. Even when things are said it might be a little too little a little too late. GEMINI: Automobiles or vehicles of all kinds could come to your attention this month. But also look for those circumstances that have gotten out of control. It is real important to stay awake and pay attention to what is going on because you could be caught off guard if not careful. This is going to be even more true if you are someone who prides yourself in your concentration abilities. All sorts of odd couple could come to your attention this month. It will also be a good idea to pay attention to you feet or lower leg. CANCER: Compassion for others is important this month, in part because there is just so much that is still unknown. When you do have an intuition about what is going on right now, but not everything will go exactly as you thought it would. This will be particularly true when it comes toy our dealings with authority figures. Things seem to be going slowly this month. You seem to feel tested and even tempted at times, siblings could be involved. Things seem to be happening in small increments before coming all together. LEO: Meal planning and preparation are highlighted this month. There could be some just rewards or “justice” with regard to a child. When it comes to authority figures it will be important to just take the plunge. New connections are being made but be wary of those contacts that could be dealing with addiction issues. Remember addictions come in all flavors, not just drug and alcohol. Over-working or over-indulgences of all kinds can become additive behavior patterns. There could also be some advice related to risk taking ventures. VIRGO: Watch eating foods that are sweet, particularly in the morning. With things being some scattered right now getting up early in the morning is a good idea but quick breakfasts are often high in sugar. It is important to take care of the body. When it comes to dealing with service people there could be issues because things have to be done over again. There can also be some opportunity to show your tougher side. You could also be learning a good bit about your body this month. It could be part of an overall makeover. LIBRA: Putting an end to dependency on others is featured this month whether it is you or someone close to you. There could also be some kind of betrayal this month. It will also be important to remain optimistic and not let the mood of “gloom and doom” take over. The truth is important and going it alone can be a good way to get to the bottom of things. It is time to end things that are negative. There is so much you or others will learn this month. It will also be important to realize that helping others can sometimes lead to self-destructive behavior. SCORPIO: Being fair is important this month and it will come to your attention that some people become unwilling sacrifices to bullies and those who have bully type behavior. Pay attention to what is going on in your body, you could also feel that you body is holding you ransom. There could be scar tissue issues. But it can also be that emotional issues are getting the best of you. Remaining optimistic is a way to open doors to more opportunity. Issues with partners or problems with a partner’s animal is possible. SAGITTARIUS: Lying is going to be an issue this month, someone in the house or house hold could be lying. There could be lies related to the building but also lies related to money are also possible. When it comes to work or goals there will be some light at the end of the tunnel. There could still be questions regarding work or goals but someone could be asking about a vacation or get-a-way. There will certainly be those days when you will ask yourself, “Why me?” But it all works out in the end. CAPRICORN: Sad things that are going on in the world will have a way of affecting you this month. You could even feel burdened and restricted by your responsibilities. Going away or dealing with people who are traveling can be a good way to deal with all the transformations that are going on right now. New beginnings can make you dizzy with all that is going on, but then again if you are feeling lightheaded even if you think it is stress related could be the beginning of something health related. Right now physical issues can be an Achilles’s Heel. AQUARIUS: Taking time and withdrawing is a good think to do for one’s health. There can be some surprises this month but very likely surprises will be of the oppressive variety. Some of what happens this month will certainly take you but surprise It is will be difficult as a result to act on things. Be wary of over-reactions either yours or someone close to you. It can lead to chaos and confusion. There will be some clarity with regard to some series matters. It will come to your attention how light it is in the evening making the days longer. 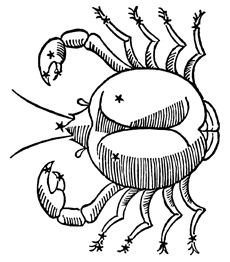 PISCES: Things are not very clear this month and at times it tough to know how things will eventually work out. But you do have sympathy and apathy for those who are less fortunate. There could be an issue related to those who only get inspired when others yell at them or treat them badly. You want to be wary that you are not put into a situation where you could humiliate yourself. Intrigue can only complicate situations. It will be important to realize that some times we truly believe in something only to find out that it wasn’t what you thought it was. It was just one of those lies a person tells themselves and you or others no longer need to hold onto.